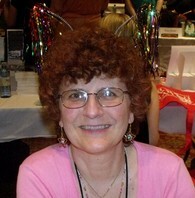 Today I’ve got Yves Fey on the blog talking about her own version of NaNoWriMo. Sporadically, but for several years, I’ve been attempting NaNoWriMo, with varying degrees of failure. It is 180 degrees from my writing style and I feel intimidated, not freed, by its format. Usually I plunge in valiantly, land with a resounding belly flop, then slink off and resume my usual plodding pace. Nonetheless, this year I’ve decided to use NaNoWriMo as a goad. My goal is simple, but significant—to further the second mystery in my series, which has been languishing for months. I have a precious few chapters and scenes that I wrote about this time last year, before I entered the months long final edits and market phases for the release of the first book, Floats the Dark Shadow. The method for my own private NaNoWriMo is to write 1,000 words a day developing my synopsis bits into actual scenes or possibly even chapters. I’m a plotter, not a pantser. Tackling a novel is far too scary to me to attempt without the framework of an outline. I spend about a month or two brooding over what I want to happen, the order of events, the conflicts. This is combined with research, hunting for some intriguing historic bits to anchor the book in its era. In the case of my sequel, I knew that the Dreyfus Case would be the backdrop long before I knew what story would play against it. I have had my basic outline for some time, though I did a revision knowing November was fast approaching. Although I think of my books as character driven, my struggles with synopses focuses on getting the events into a timeline, blocking out the emotional high points occur, and trying to spot the problems that will trip me up. If I’m lucky, I will be granted bits of dialogue, the idea for an interesting twist, even a scene here and there. Once I have the vision for the book laid out, my brain shuts down on adding details. These outlines are fairly basic, and in the past I’ve tried to force development, only to find myself staring at a blank page for days or weeks. I’ve learned that I really have to start writing before the rest will come. I begin to write, and proceed, for the most part, chapter by chapter. But I really can’t abide rough draft. I’m appalled by the flatness of the prose, the clichés, and the characters chewing uncomfortably on the words shoved into their mouths. Other plotters and pantsers forge ahead. I begin to develop. I work and rework until the story begins to come to life and the writing with it – a chicken or the egg sort of process whereby a good line of dialogue that I dream up suddenly fits the mouth it’s designed for. Or the characters wake up and tell me what to write (please). Again, others would forge on at this point. But once the chapter is actually half decent, it’s fun. I love revising! I get new ideas, I quest for stronger verbs, subtleties of motivation emerge, descriptions blossom. So, I enjoy myself until I have a finished chapter that I actually like well enough to move on. This is a slow way to go about it, but it grounds me for the leap into the uncharted world on the next chapter, with no more than my synopsis snippet to guide me. But despite doing a lot of preparation, as a writer I’m terribly dependent on inspiration, and often go through long dry periods of waiting for the muse to whisper. So NaNoWriMo has always intrigued me because it does address one of my biggest problems—procrastination. And once again I’m undertaking it, but on my own terms. My primary goal is the 1,000 words a day. I’ve also let myself do some building on the chapters I have, but only if I don’t linger if stuck. I have succeeded more often than not, and I am also not berating myself if I don’t succeed, provided I do something. I am not allowing myself to burrow in. While I’m not going to attempt to write without editing, which I’ve learned is essentially impossible for me, neither am I allowing myself to sit staring at the page endlessly until the right word materializes. I don’t flee the room if it doesn’t (except for more coffee). If a few minutes of fiddling, sighing, and growling has produced nothing to further the chapter, I move on to another piece of the synopsis and see what can be brought to life from that segment of the novel. I have not been all that happy with the writing so far, but I am happy that I’m undertaking the challenge. I am going to do this for the month of November. I didn’t sign up on the NaNoWriMo site. This is my quiet sideline to the valiant frenzy I know is happening with the official participants. It’s a more modest challenge, but a big one for me. About Yves: Yves Fey has an MFA in Creative Writing from Eugene Oregon, and a BA in Pictorial Arts from UCLA. She has read, written, and created art from childhood. 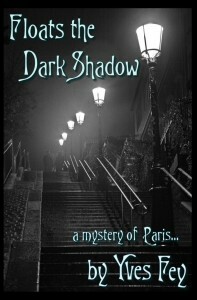 Floats the Dark Shadow is her debut mystery, set in Belle Époque Paris. 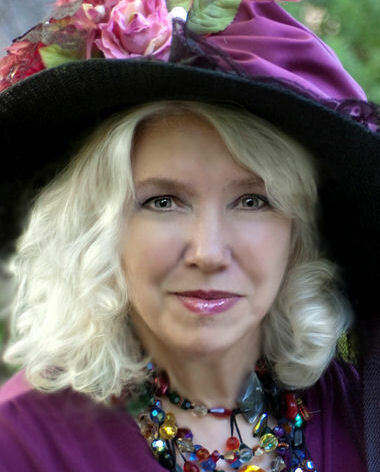 Writing as Gayle Feyrer and Taylor Chase, she previously wrote four dark and mysterious historical romances. A chocolate connoisseur, she’s won prizes for her desserts. Her current fascination is creating perfumes. She’s traveled to many countries in Europe and lived for two years in Indonesia. She currently lives in the San Francisco area with her husband and three cats, Marlowe the Investigator and the Flying Bronte Sisters. Thanks for being here Yves. Loved learning how you’re approaching NaNoWriMo. Good luck! Please welcome Kristyn M. Phipps to the blog. She’s talking about the three people inside every writer. (2) The Writer – Emma introduced herself in my Sophomore English class, the year I had to write a 1,000 word essay on The Scarlet Letter. This is my favorite person to work with, because she’s completely creative. She has the ability to look at Jennifer’s notes and go with it. She creates places, plots and people I had never given a moment’s thought to. Emma has ambitions and continuously tries to multi-task too many projects, so I have to keep her at bay or she’d never finish a project. (3) The Inner-Editor – Doris is a meticulous, deadline-driven perfectionist. She’s the drill sergeant that stands over my shoulder as I let Emma do her thing. Doris is present during the entire research, writing and revising stages. She doesn’t usually allow others to learn from their own mistakes; she accepts nothing but the best, and pushes everyone else to their mental limit. (2) Write what you need to – outline, synopsis, plot, etc. Then work from that. Don’t stop in the middle and let your editor interrupt your creative train of thought. Rather, take notes in a separate document or in a notebook. (3) Only after you are done writing, let your inner-editor go back and fix the notes made by the writer. This will prevent your inner-editor from stifling your creativity when writing. One last hint – believe in your topic, your genre, your subject. Everyone has a story to tell, and it can only be told from your point of view by you. Have fun and challenge yourself! Love this take on the three personalities of a writer. I need more of 1 and 3. My Emma loves multi-tasking too. How about you? Are your writing personalities similar to Kristyn’s or completely different? Posted in Guests | Comments Off on Me, myself and I? Today I have Cyndi Faria on the blog talking about the relationship between characterization and theme. And wow, what a post. You’ll learn a lot so make sure you read it thoroughly! I’d like to thank Cindy Carroll for having me guest post today on the relationship between characterization and theme. Starting with characters, do you base them off someone you know well? A grumpy yet sensitive, grandfather? An overbearing yet teary mother? A supportive yet critical girlfriend? A heroic yet possessive fireman? Characters that feel real are complex, often embodying both good and bad traits. The question is, what is a person’s true and dominant personality? Sometimes it’s difficult to know at first, but this is what makes getting to know a character in a story so much fun. What I’ve discovered, and I’m sure you will agree, is that people hide their fears and desires behind a mask. This mask is generally a defense mechanism born out of fear. It is what a character presents to the word because he is protecting himself from pain. At the beginning of a story, we are often not seeing the person on the inside that is hurting and starving for love and release, but a shield. As a romance writer and blogger on the craft of writing (www.cyndifaria.com), I love writing tips and helpful cheat sheets. So when I discovered the Enneagram’s Nine Personality Types, I stumbled on a method for creating three dimensional characters the easy way. I no longer had to pretend to understand how a person would feel on the inside. The Enneagram details the truth behind the mask and suggests a central theme that will tear away this mask. A person’s personality is constant once established. However, it can swing between unhealthy (flaws) and healthy (strengths). Backstory: Character’s emotions discredited as obstacles leading to success. Theme (what we as writers must prove true to the character and, thereby, the reader): Self-worth is measured in loving relationships and not by monetary possessions and status. A worthy legacy is earned through self-acceptance and benevolence. Therefore, the Black Moment Realization: Redemption is found in benevolence and knowing they have the power to change the future, regardless of the past. Self-worth is measured in relationships, not monetary possessions and status. By rephrasing the backstory and desire, the writer can create a central theme that drives each scene: Success is measured by self-acceptance and benevolence. Below, I’ve deconstructed A Christmas Carol for further study. Truly, the Enneagram can benefit writers by spelling out personality attributes and themes, thereby removing the mystery of character development. To learn more about the other eight personality types, visit www.cyndifaria.com/more-than-skin-and-bones-characterization. Backstory: Ebenezer Scrooge grew up at a boarding school believing his cruel father didn’t want him. At school he had friends who loved him and he was tender and innocent. However, during Christmas, when the other children left for break, he remained at school. Year after year, loneliness and rejection broke his heart. As a young man, he fell in love, but soon greed of status stole his passion for love. His fiancé broke off their engagement. After, he rejected anyone who attempted to have more than a business relationship with him. He told himself relationships were risky, painful, and cost too much. Because of his backstory, he based his self-worth on achievements. He became obsessive and attempted to ruin other’s happiness. Christmas became Bah Humbug and a wasted day’s pay. Lie he’s told himself: Emotions are obstacles that lead to success. Theme: Redemption is found in benevolence and we have the power to change the future, regardless of the past. Self-worth is measured by loving relationships and not possessions and status. A worthy legacy is earned through self-acceptance and benevolence. Dickens attempts to prove the theme true. In each stanza below, he shows Scrooge how his lie has deformed his strength of benevolence into greed and selfishness. Scrooge is shown how a monetary legacy (Marley’s Legacy) is soon forgotten, but one of charity (Tiny Tim’s Legacy) lives on. Tipping Point: Marley gives Scrooge a glimmer of his eternal future, strapped to chains and ledgers and deeds: a destroyed man who can’t see past his addiction, money. Scrooge is shocked, horrified, but falls asleep. Christmas Past Ghost 1: Scrooge’s first ghost shows Scrooge in happier times, when he was a boy, tender and innocent. However, quickly these joyous feelings recede when feelings of abandonment and loneliness overwhelm him. This is especially true regarding his feelings of rejection from his father. But just as his father cast him out, he too casts away others. He recognizes the similarities between himself and a man he hated. Lastly, he’s shown what his future with his ex fiancé, now remarried, might have been if greed hadn’t corrupted his loving heart. Scrooge actually sobs as his emotions leak through. But reestablishing the walls around his heart, his defense mechanism, he rejects the first ghost’s message. Christmas Present Ghost 2: Scrooge’s second ghost shows him how his greed and lack of benevolence affects others in the here and now. His clerk’s son, Tiny Tim, is very ill because of the meager wage Scrooge pays Bob Chratchit. However, there is tremendous love and support within the impoverished family, something Scrooge longs for desperately. When visiting his nephew, Scrooge hears talks that he is a lonely miser, but his nephew professes his love for his uncle regardless. This softens Scrooges heart. His walls begin to break. He ponders the suggestion of free will and his choice to love again. But these emotions scare him. Detachment and machinations are painless. Emotions vulnerable. Christmas Future Ghost 3: Scrooge is guided by the ghost to the future. He sees the empty seat in Bob Chratchit’s home as Tim has died. However, the memory of Tim is alive. He’s not forgotten, but remembered every day because of his charitable ways. Scrooge is then taken to his funeral lunch, where businessmen contemplate attending if lunch is served. Back at his home, his charwoman steals his belongings. Finally, when Scrooge is appalled and ashamed of his greed, when he realizes nobody cares about him, the ghost brings Scrooge to Scrooge’s neglected gravesite. There, at his most vulnerable condition, beat down, the walls of his heart shattered, he realizes greed has made him calloused and ugly and unlovable. Greed has robbed his heart of compassion. And if he doesn’t change his ways to be more “Tim-Like,” he’ll become a man chained to eternal doom, like his coworker Marley. Waking on Christmas morning to love and joy in his heart, he realizes he doesn’t need things to make him happy. He needs people. He chooses to let his benevolence shine and earns the reputation of a man who embodies Christmas. Therefore the theme detailed above—Redemption is found in benevolence and we have the power to change the future, regardless of the past—is proven true. “A CHRISTMAS CAROL.” A CHRISTMAS CAROL. N.p., n.d. Web. 19 Oct. 2012. <http://www.stormfax.com/1dickens.htm>. “Enneagram Research, Development & Applications.” Enneagram Institute: Enneagram Testing & Training. N.p., n.d. Web. 19 Oct. 2012. <http://www.enneagraminstitute.com/>. Today I’ve got Mary Marvella on the blog with an excerpt showing her torturing her character. Do you like to mess with a character’s head? My heroine thought the man she once loved but can’t afford to love again was visiting for a while. She could handle her attraction to him for a FEW days? See what I did to her? Hugging Deidre felt more natural every day. 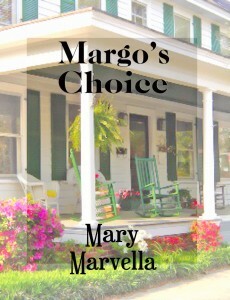 Margo joined him at the door, while Electra stormed up the stairs. “It’s a good thing I’ll be able to track Electra’s spending after you leave to go back to wherever you’re stationed,” I commented. Margo looked as though she couldn’t breathe. Jay turned Deidre loose and reached for his wife, his ex-wife. She pulled away and stepped back. Her eyes looked like saucers and her complexion paled. Margo still hadn’t spoken. She looked about to pass out, but she still stood. “Where do you hurt?” Jay asked, though he didn’t try to touch her again. Margo shook her head. What the hell was wrong with her? “Should I call someone?” Jay asked. She shook her head again, then left the room toward an area away from the kitchen. “Should I stay?” he asked. Jay didn’t know how to respond. He couldn’t tell her the last letters he’d written her ten years ago had been returned unopened, so he didn’t see the point in writing to her. “And where I’m concerned, too?” She looked so eager and young and vulnerable, younger than seventeen. “Yeah, where you’re concerned, too.” He couldn’t tell the kid he wasn’t her daddy. She loved him, though he didn’t deserve her love. Could I have been kinder to her? Of course! Is she in trouble now? Do you want to see how she handles the situation? 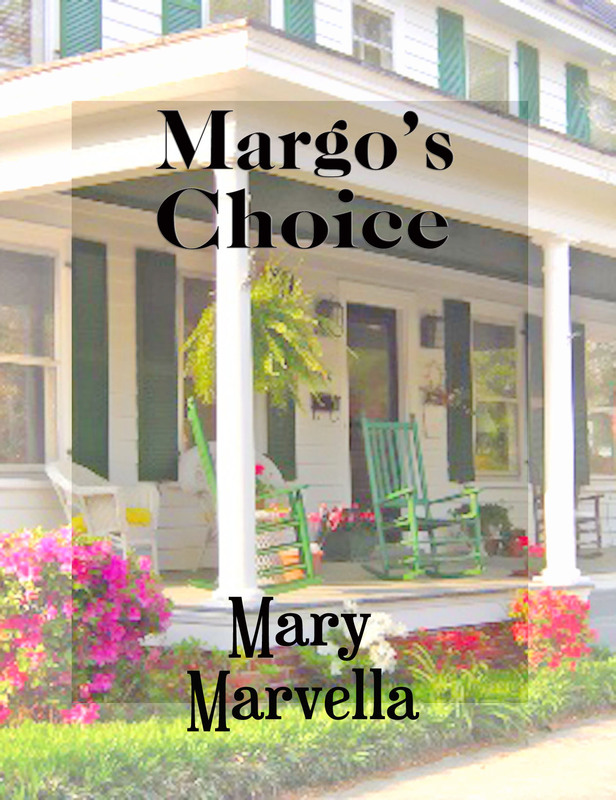 Margo’s Choice is a Southern Women’s Fiction story. Margo Lake isn’t looking forward to seeing her ex husband Jay again. After 16 years of separation the marine still knows how to push her buttons. She has never stopped loving him, at least in some ways, though she really doesn’t like him. When she learns he isn’t coming for a visit but is retiring, she fears what he can do to her heart if she lets him inside for even a second. Even more, she fears for the heart of her youngest daughter, the child who adores him, the child he doesn’t believe is his. Jay has finally had his fill of war and danger. He is ready to retire and get to know his daughter better, be with his family. He wishes Margo would come clean and tell her youngest daughter he isn’t her father. Then he could forgive her lies and maybe they could all have honest relationships. Please welcome Susan Muller to the blog today talking about one of my favourite topics. Names! Cindy, thanks for inviting me to share your blog today. 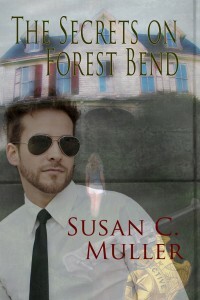 The print edition of my novel, The Secrets on Forest Bend, was released this week and it got me thinking about names. Where do you get the names for the characters in your books? Shakespeare may have thought a rose by any other name would smell as sweet, but try naming your heroine by that flower’s family name, Rosaceae, and see how well that goes over with your readers. So, how important are the names you give your characters? The answers range from vital to not at all, depending on who you ask. There’s no question that accuracy in historicals is important. A seventeenth century scullery maid named Madison or Jada would be laughed off the shelves. In the 1950’s to the 1970’s, heroes were given names that sounded strong, masculine. Do you remember Sky King, Rock Hudson, and Remington Steele? Today’s stories tend to have characters with contemporary names. On one extreme, many authors figure out the year their character was born and Google the most popular names for that year. This might be why so many books seem to feature main characters with the same names. On the other extreme, is my friend who glances around her office and picks a name from books on her shelves. The third time she used a similar name, her editor sent her a book of baby names. Thoughtful, or a subtle hint? Many writers use obituaries or tombstones as a source of names. This offers the advantage of multi-generational names plus a variety of ethnic names. Others writers use the names of friends or relatives. This can be risky when naming a villain. For last names, I have discovered a treasure trove: football games. As the players take the field, the announcer reads off their names. Any that catch my fancy, I write down. This would work with basketball or baseball, depending on the season. In my novel, The Secrets on Forest Bend, I have a minor character that is Cajun on his mother’s side and Jewish on his father’s side. I Googled Cajun male names and he ended up named Remy Steinberg. I love the juxtaposition of mismatched names. Jose Gustafson, Pierre McAlister, Sean Nguyen, Inga Blackfeather, Hans O’Brian, Clive Shultz. Can you think of a mismatched name? I’m offering a free download of The Secrets on Forest Bend to the best, most off-beat example or the best, untapped source of character names. Love the name you came up with for Remy. I’ve used sports as well to come up with last names. Can’t wait to see if you win a copy of Susan’s book? You can buy it on Amazon or Barnes and Noble. Not a Picky Reader. Not Really, Anyway. Hi everyone. Thanks for stopping by the blog today. I’ve got Jordanna East here talking about what makes a non picky reader annoyed. I’m a reader. I know what you’re thinking: “ME Too!” But no, I’m a reader-reader. Just this year alone I’ve read more than seventy books, both indie and traditionally published. That’s some serious reading, right? So, it’s no wonder that I’m not an overly picky reader. I used to only read crime novels and horror, but I’ve recently branched out into historical fiction, YA, paranormal romance, and dystopian. I even read a few contemporary fiction novels. My point is, well, you get the point.. HOWEVER, there are a few things that bother me, that steal me away from the focus of the story, that cause me to roll my eyes in annoyance. 1. I can’t keep track of your characters. Sometimes a story has too many characters and they all have a name. The gas station attendant doesn’t always need a name if he only appears in one scene and has nothing to do with the plot. Also, I can’t keep up if several of your characters have the same or similar names. I don’t want to have to keep a notepad on hand just so I don’t keep confusing Bobby with Jim-Bob, or Bobby-Joe with Bob Jr.
2. Purple Prose. Don’t get me wrong, I love description. Probably more than I should. I love to be able to envision a character’s appearance or their surroundings. But I don’t need pages upon pages to do so. A well-crafted sentence or two will do just fine. Stop rambling on about blades of grass in the wind. 3. You have a thesaurus, we get it. I have a pretty extensive vocabulary (and I don’t mind expanding it even further), but when an author uses words I don’t think I’ll ever see again, I get annoyed. What’s worse is when the words don’t fit the context. Oh no, wait! What’s even worse than that is when the words are included in everyday dialogue and you as the reader just know in your heart of hearts that no one speaks like that. Gosh that’s the worst! 4. Jargon. I couldn’t be happier that you left your law firm/corporation/secret spy network to become an author, or that you did a ton of research on said vocations. But I never worked for a law firm/corporation/secret spy network and wasn’t aware that I had to do my own research before being able to understand a lick of your book. 5. Repetitive words and phrases. I recently read a book that overused the descriptions “smile held no humor” and “face clouded over.” As I read those terms over and over and over, they began to describe my own face. About Jordanna: Jordanna East is currently working on a full-length novel entitled Blood in the Paint. It’s a psychological thriller in which a seductive female serial killer and the ambitious young cop on to her are both seeing the same psychologist, who also has deadly ties to their pasts. She is also concurrently working on the prequel novella entitled Blood in the Past, which she plans to release in the Spring of 2013, followed by the novel in the summer. She’s married and living happily in Southern New Jersey with her husband and their slightly obsessive love of sports. Visit Jordanna at her blog, her Facebook page, or follow her on Twitter @JordannaEast. Me again! Thanks for being here, Jordanna! What about you? Are you a picky reader? Hi everyone! Today I’ve got Steve Liskow on the blog talking about learning about process and structure. When I first started writing seriously, I followed the conventional wisdom that you had to write every day. Some people said you should set a word goal, too—in Stephen King’s case, two thousand words. I tried that for about five years, no matter how I felt and no matter how good or—in most cases—how bad they were. At the end of that time, I could sit down at the desk with a pencil, fountain pen, crayon, or a keyboard, and produce words on command. If they weren’t great, I could make them better. That’s how you learn to write words. People don’t tell you that it’s also how you learn your own process. Do you need to outline or not? Do you start with a character, a situation, an image, or an evocative line? How and when do you revise? Basically, you should progress from writing words to writing a story. Then you write a good story. Then you write a good story well. It takes a long time. Nobody mentions that in addition to learning how to write, you’re learning what to write. I used to get an occasional student who hated to write long work, but produced such evocative images that I suggested they turn to poetry. Some people adore description so much that they can kill a story before it gets off the ground, but their love of detail helps them write excellent technical journals. And we’re all such narcissists that it seldom occurs to us that nobody would want to read our memoir unless we really DO find the cure for cancer. Since I grew up in a realm where history (my father’s love), mystery (my mother’s passion) and the so-called Great Books all held sway, I didn’t even realize a hierarchy existed for years. My first attempts at mystery were a little on the literary side (and terrible), but I was always comfortable in the form and found that I could produce pages without too much trouble. My high school honors English (and later teaching English) meant I knew the mechanics of the language well enough so I could treat revision as a technical exercise. The big problem for me continues to be structure, but I’ve found writers who can show me the way. Find someone you enjoy reading—contemporary, please, nobody will buy Thackeray now—but who doesn’t deal with your chosen subject matter. Write out a few pages of their stuff longhand to get the rhythm into your own ear and muscles, and then go wild. I’ve looked at S.J. Rozan’s Absent Friends (among others) for structuring, but you’ll probably never notice it. 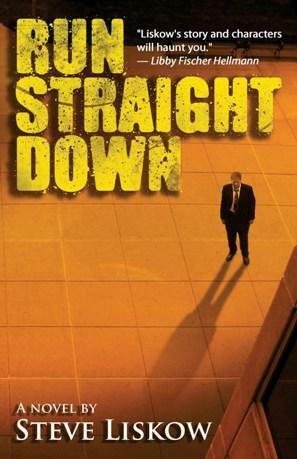 I often use present tense because I saw Don Winslow use it to inject energy into a story. Kate Atkinson and Laura Lippman use literary or pop allusions to make a point. Dennis Lehane, Lynne Heitman, and Karin Slaughter treat their characters badly and raise the stakes to the stratosphere. I’ve recently discovered Mo Hayder’s way of continuing a subplot in one novel as a larger plot in a second book. I can learn from that. Samuel Jonson said that good writers imitate and great writers steal. Maybe the biggest trick is figuring out what’s worth stealing. Cindy here! Thanks, Steve! It’s true, they don’t tell you any of that when you’re first starting. Hmm. If I want to sell like Stephen King I’m going to have to up my daily word count. Thanks for stopping by the blog today! I’ve got author Brenna Zinn visiting this fine Wednesday to talk about using the senses in your writing. Ever run across the sweet, heady smell of honeysuckle while driving in the country? Can you close your eyes and visualize the vibrant reds and pinks of a sunset, or the pale greens of a newly budded tree? Can you imagine the brush of a feather against the backside of your knee? When you think about licking a freshly cut lemon and allowing its tangy juice to linger on your tongue, does your mouth water? Does the sound of honking of horns and screech of tires make you cringe? Now think about what you’ve just read and how those words affected your senses. Did you smell the honeysuckle? See the reds, oranges, and greens? How about that lemon? Could you almost taste it? The human mind tends to react to sensory suggestions, even suggestions taken in through written words. After a person experiences a sound, touch, taste, etc., the mere mention of the experienced sense can quickly evoke a sensory response. For a writer, this is powerful information. Why? Because you can control what your readers see, smell, taste, hear, and feel simply by choosing one word over another. For example, consider the impact of changing just a few words in the following sentences. I rubbed my hand against the furry softness of the cashmere sweater. I rubbed my hand against the slick, almost wet skin of the snake. I opened the door and was nearly knocked down by the oppressive heat and humidity. I opened the door and was nearly knocked down by the frigid north wind. Below are two paragraphs from my current work-in-progress. At least three senses (sight, sound, touch) are used to help my reader get into the scene. Dagger parked the Vette alongside the white picket fence framing the front yard of the Benson’s conch house. The old two story home, a combination of Victorian and Bahamian style architectures, had been built by someone in the Benson family over a hundred years ago and had stayed in the family since. Though the home was ancient, the paint job wasn’t. The last time he’d been here, the house had been a bright yellow. Now a light blue with bright white gingerbread trim, the place had never looked better. The sound of music drifted from somewhere inside the house as soon as Dagger killed the engine. Strolling up the steps to the covered veranda, he could feel the twangy beats of some country song vibrating over his skin. He knocked on the door several times knowing good and well no one inside could possibly hear his arrival over the din, then let himself in. When you write, carefully sprinkle in sensory words to for greater reader involvement. You want the readers to experience what your heroines and heroes experience and become immersed in their story. If you can coax the people who buy your books to completely lose themselves in the make-believe worlds of your stories, maybe they’ll come back for more. Great advice, Brenna! 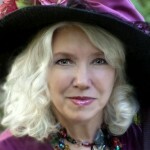 Don’t forget to check out Brenna’s website at http://www.brennazinn.com. And follow her on Twitter @BrennaZinn. How about you? Do you work to put the senses in your writing? Do you stick mostly with sight and sound? Thanks for stopping by the blog today! I’ve got Susan Santangelo on the blog talking about Baby Boomer Mysteries. I’ve always loved the mystery genre. I was hooked on Nancy Drew books when I was a child, then I graduated to Agatha Christie, and I’ve just keep on going. I love what is traditionally called the cozy – no blood and gore for me. I like to be entertained. And, especially, I like to laugh! I was diagnosed with breast cancer years ago, and that was a real wakeup call for me. I’ve been a freelance writer, editor and drama critic for years. I’ve also had my own p. r. company and done special events for a variety of clients, including Carnegie Hall. Writing press releases, articles, brochures – I did it all. But I’d always wanted to write a mystery. After the cancer diagnosis (I’m fine now!) I thought, why wait? Who knows what other curve balls life might have in store for me? The original idea of the series was that my husband and I would do it together. He’s been writing non-fiction professionally for years. But it didn’t work out that way. The series deals with typical Boomers Carol and Jim Andrews as they navigate the rocky way toward their golden years. In the first book, Retirement Can Be Murder, released in April 2009, Carol dreads Jim’s upcoming retirement more than a root canal without Novocain. She can’t imagine anything worse than an at-home husband with time on his hands and nothing to fill it, except interfering in the day-to-day activities and driving her crazy. Until Jim is suspected of murdering his retirement coach. The second one in the series, Moving Can Be Murder, was released May 1 2011. This one deals with Carol and Jim selling the family home and downsizing, with one dead body thrown in to keep things interesting. Book 3 in the series, Marriage Can Be Murder, includes a destination wedding on Nantucket, and was released in July 2012. There a total of 7 books planned for the series. My books are written in the first person, so many people think I’m Carol. I’ve even been introduced at book talks as Carol! We’re both sarcastic and like to be in charge. We value our family and our close women friends. Oh, one more thing – we both love English cocker spaniels. There are two English cockers in the books, Lucy and Ethel. My characters have become my best friends. The more I write about them, the more I want to write about them. And I have a sneaky suspicion that when I’m not keeping an eye on them, they get into trouble. Or, maybe it’s the other way around? The subhead for each book title is, “Every wife has a story.” The more women I connect with, either at book talks or via the Internet, the more I realize how true that is! The books are available on Amazon and a number of independent book stores, as well as on Kindle and Nook. And through the website: www.babyboomermysteries.com. Thanks for being on the blog today, Susan! The series sounds great. Love that the cocker spaniels are named Lucy and Ethel! I’ve wondered about that first person issue. I only write in third so I’ve never thought anyone would call me by a character name.